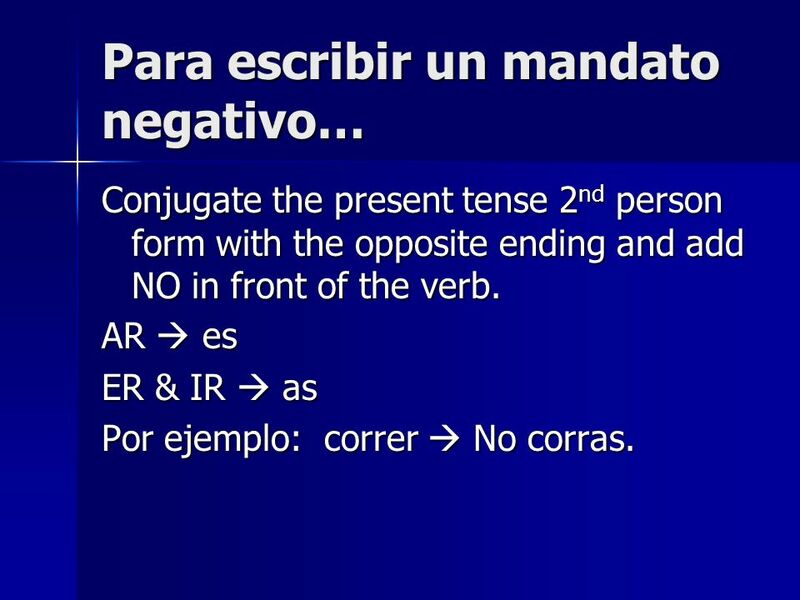 Conjugate the present tense 2nd person form with the opposite ending and add NO in front of the verb. AR  es ER & IR  as Por ejemplo: correr  No corras. 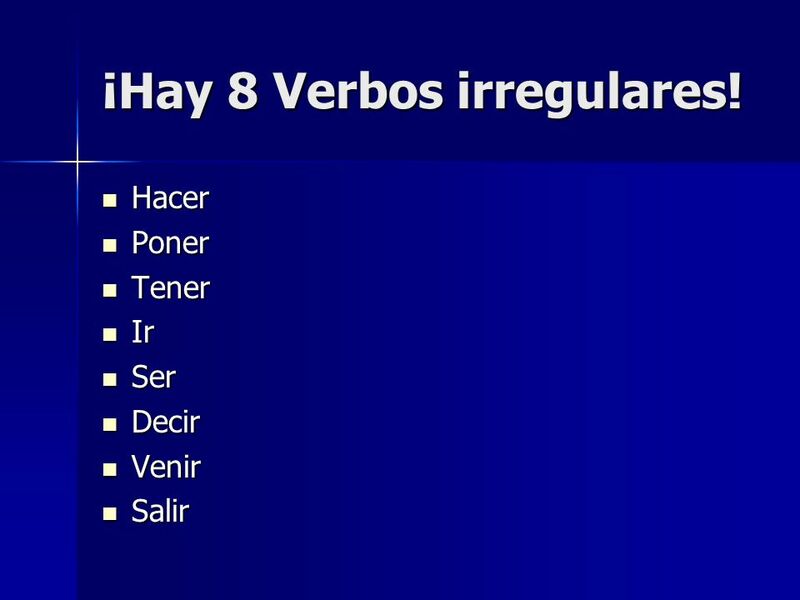 4 ¡Hay 8 Verbos irregulares! 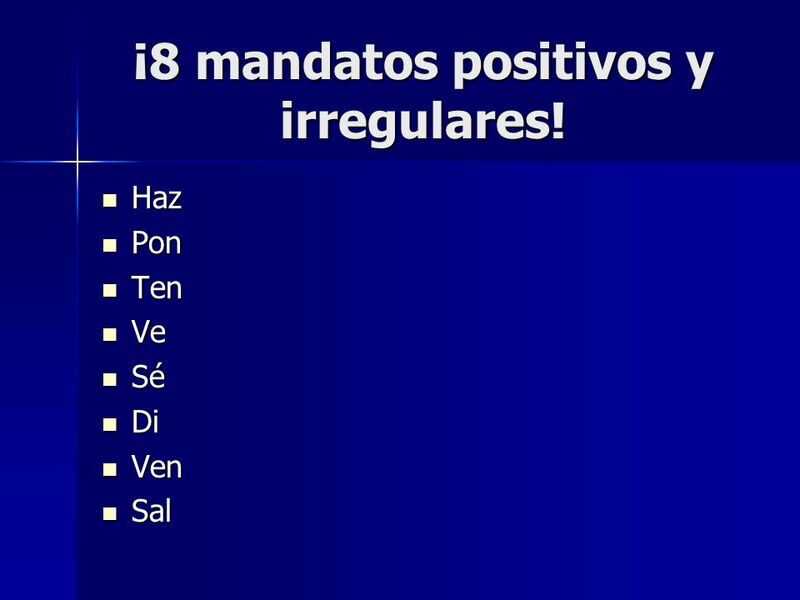 5 ¡8 mandatos positivos y irregulares! 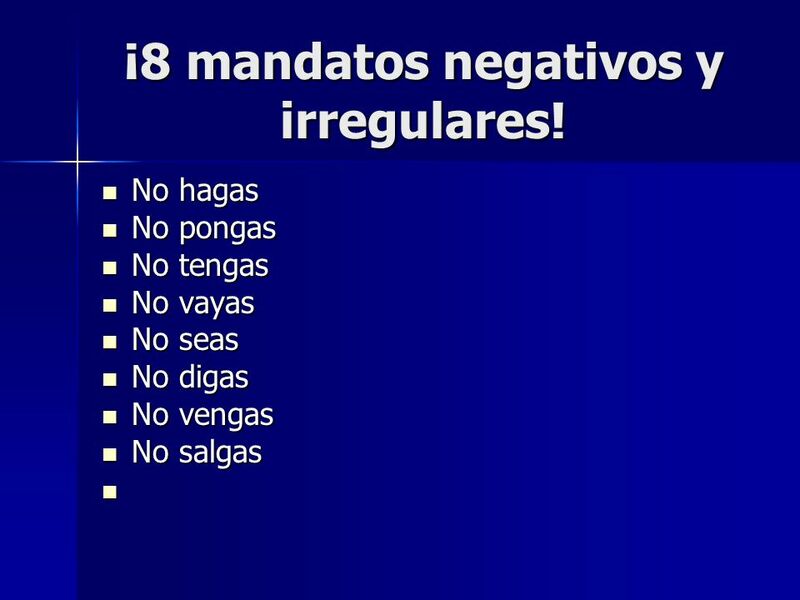 6 ¡8 mandatos negativos y irregulares! 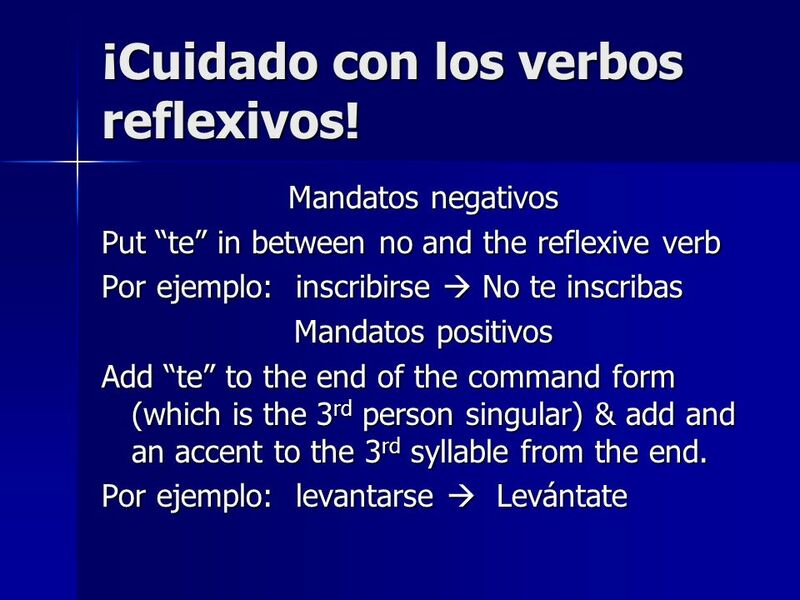 8 ¡Cuidado con los verbos reflexivos! 9 Y ¡Con los complementos directos! 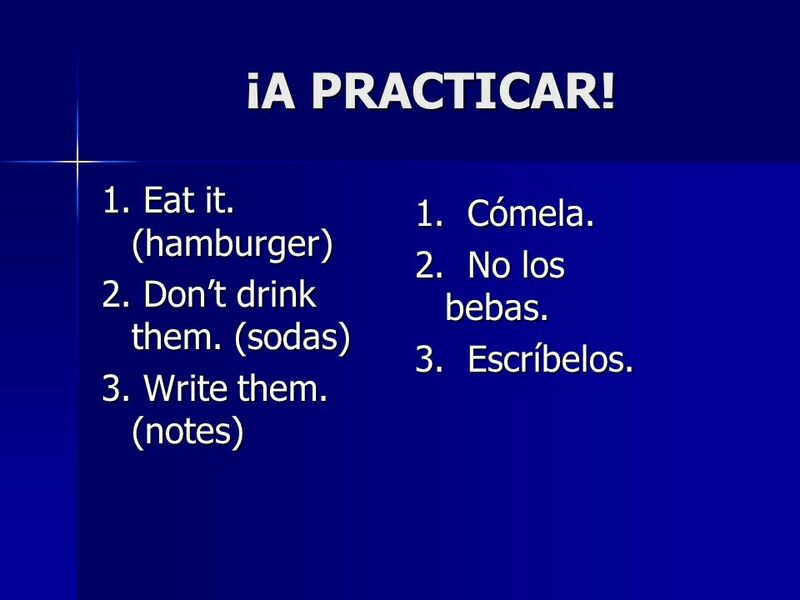 10 ¡A PRACTICAR! 1. Eat it. (hamburger) 1. Cómela. 2. No los bebas. 2. Don’t drink them. (sodas) 3. Write them. (notes) 1. Cómela. 2. No los bebas. 3. Escríbelos. 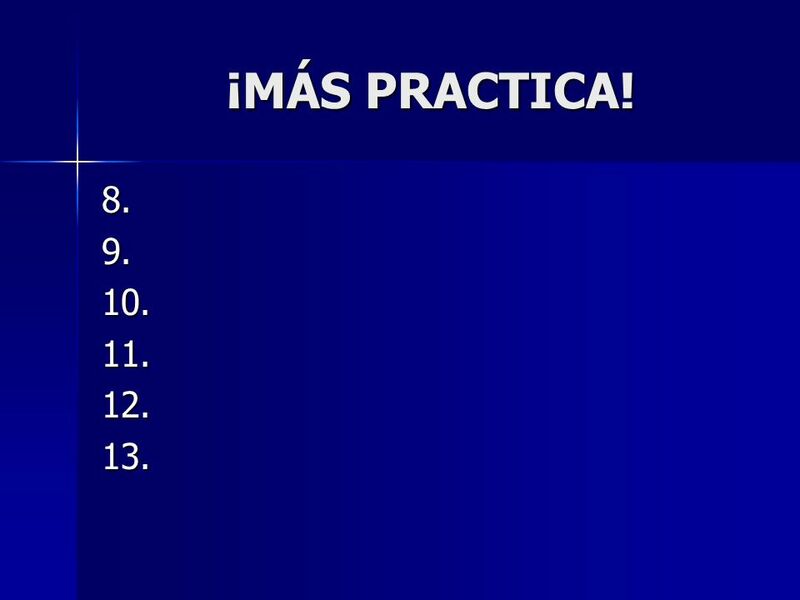 11 ¡MÁS PRACTICA! 8. 9. 10. 11. 12. 13. 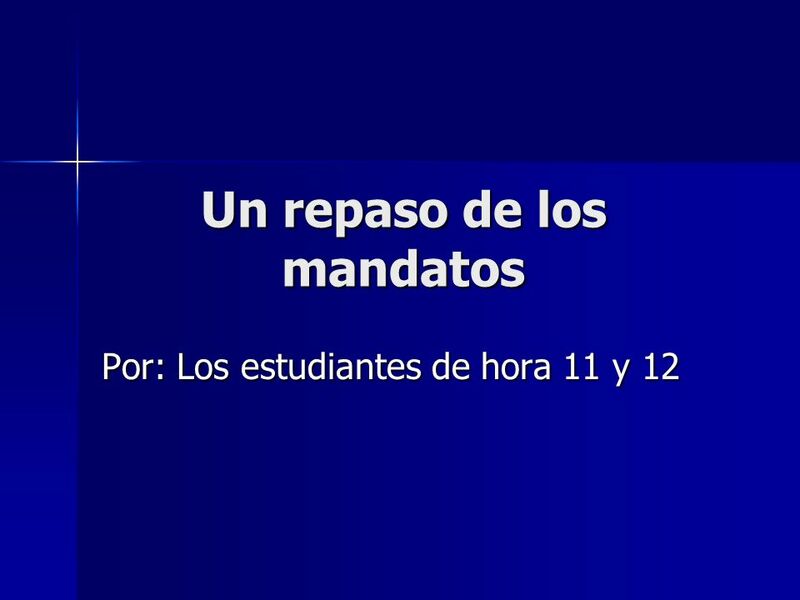 Descargar ppt "Un repaso de los mandatos"
Mandatos Informales ¡Toma apuntes! ¡No duermas en clase! Mandatos informales Vistas Cap. 11. Los mandatos informales Informal Commands Ven conmigo 2, Cap. 5. Los Mandatos Informales (tú): afirmativos y negativos. Los Mandatos Informales Afirmativos y Negativos JULIA HESS, AUSTIN NAESSENS, CASSANDRA MARIAZZI, SAM CLEVENSTINE. 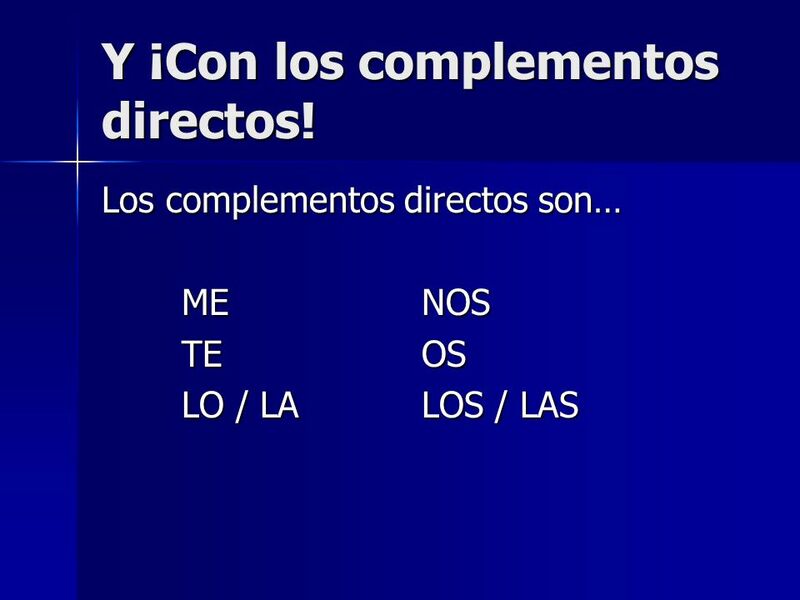 11.1 Familiar commands ANTE TODO  In Spanish, the command forms are used to give orders or advice.  You use tú commands when you want to give an order. Negative Commands What is the 3 step process to make a command that’s not an affirmative tú command? 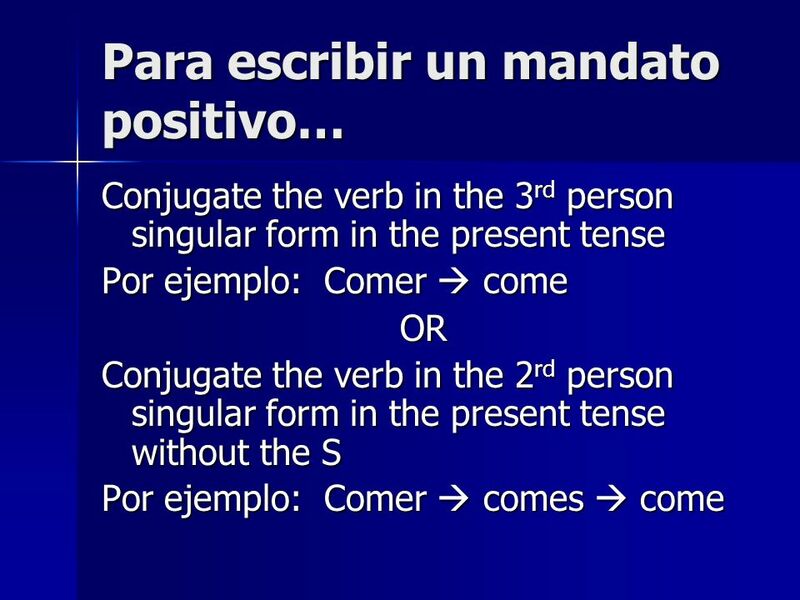 Start with the yo form of the verb in the present. 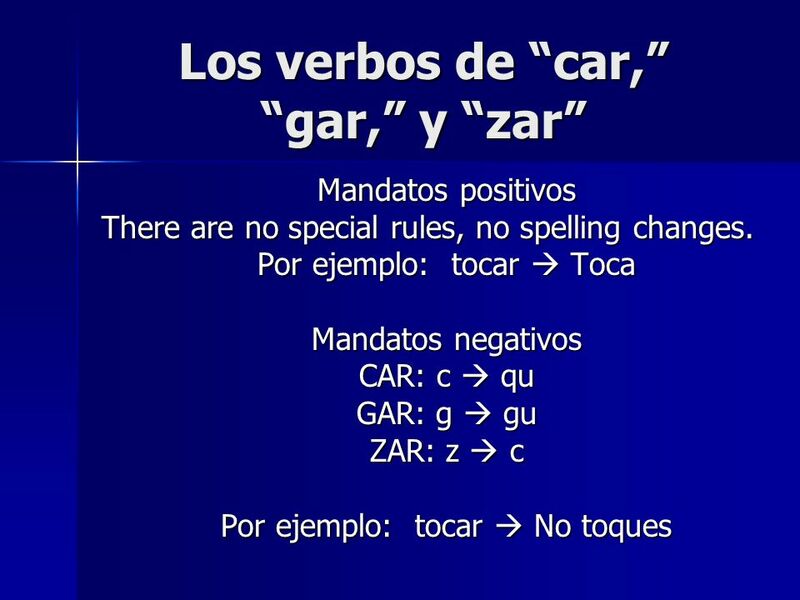 Los Mandatos To give a command or to make a suggestion to someone you address as “tú”…we use the informal command form. Negative Tú Commands Señor Abels Realidades 2, p356 rrcaabels.weebly.com.